In a medium saucepan, bring the water and salt to a boil. Slowly, stir the oats and let the water return to a rolling boil. Immediately, reduce heat to a simmer. Stir in the cinnamon and sugar and continue to cook on low for 1 minute. 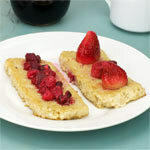 Add the half and half, stir and cook 2 minutes more - or until oats are at your desired consistency. 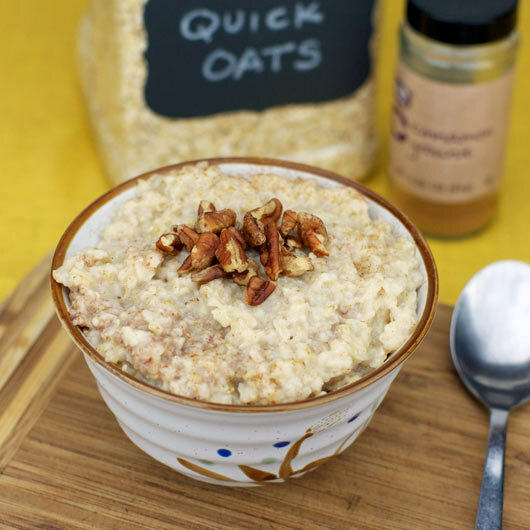 To serve, distribute oatmeal among 4 serving bowls and top each serving with a sprinkle of brown sugar and a pat of butter. 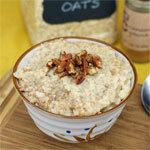 Just an easy recipe for from-scratch oatmeal. Make sure to use quick oats. Old Fashioned oats will require more cooking time... consult the package label for instructions. Mr Breakfast would like to thank MooCow for this recipe. 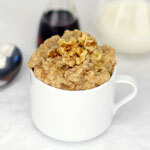 What do you think of Cinnamon Sugar Oatmeal? Was good. Would make again. Tasty and my five year old loves it too! I topped it off with honey and a little more cinnamon. Good stuff! I liked the simplicity and the flavor. 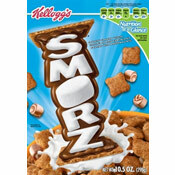 I usually eat flavored packet oatmeal and am trying to go healthier. This is a very good substitute. Simple and super delicious. My daughter loved it and I did too. Fast and easy to make. Very tasty. My five-year old likes it and it's healthier and cheaper than the packets, thanks! 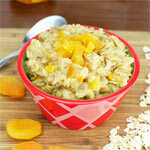 I was all out of fruit in the house so needed a nice simple basic oatmeal recipe. This fit the bill perfectly and the kids loved it.